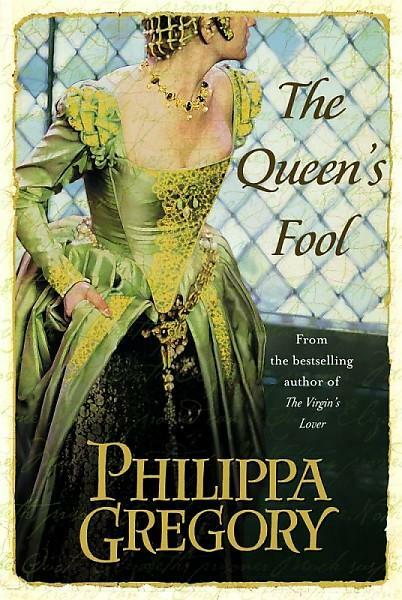 Book Review- Philippa Gregory's The Queen's Fool — Always Packed for Adventure! I like author Philippa Gregory. Her novels are part Historical Fiction and part a bodice- ripping romance nove. Fabio is never on the cover, but he's always there in spirit. Gregory's novel The Queen's Fool is narrated through the fictional character, Hannah Green, a young girl from Spain who must hide her Jewish heritage or face persecution in England. Hannah has the gift of foreseeing the future and through a series of chance encounters, she becomes a fool in the tumultuous court of Queen Mary the first. Hannah is a young woman caught between her loyalties in the court and her family, specifically to her betrothed, Daniel. Usually Gregory's novels are quick paced, beach type reads. They have enough weighty content to be taken seriously and enough pulp to be entertaining. Unfortunately, I found The Queen's Fool to be long and dull. The biggest problem is the main character. Gregory has set up Hannah to be in the most precarious of positions and constantly in danger. She is a woman who must always hide her identity and to try to keep up with every shifting loyalties in the court. The book should have been suspenseful and exciting. It really contains enough intrigued and plotting to be an episode of The Game of Thrones. However, Hannah is a baffling and weak character. She is impossible to understand, because her decisions never add up. She is in love with multiple men, yet her desires are never fully realized. She waffles between fleeing to be with a man and returning to court, both as a companion to Queen Mary and to Princess Elizabeth, two sisters who are unsure of their loyalties to one another. Hannah isn't very rooted in her culture and then all of a sudden it's her key motivator. She wants to be independent of men, yet is constantly looking for their guidance and support. She flees from danger one moment and runs head-on into it the next. Hannah doesn't add up. She's a waffler. Watching Hannah's story unfold is like watching a Tug-Of-Rope competition where nobody is trying to pull hard. It's maddening. As such, I never had a clear image of the character. Usually when I read a book, I have a strong idea of an actor who could play them in a movie version. I read the whole five-hundred pages of this book without a good idea of the main character. I felt a huge disconnect from the entire story. In addition, the book was very repetitive with regard to stating the themes and motivations. I felt beat over the head with certain ideas. It should have been more tightly edited to eliminate the repetition and speed up the pacing. The themes and real life characters in The Queens Fool were interesting and worth exploring. I wish that Gregory had explored them with a stronger protagonist and better fictional story. She has definitely written better novels.